Smart technology is often praised for its ability to make homes more convenient, but a new product claims to make homes safer. Inirv React is a smart device that can turn your stove off when you accidentally leave it on. The device, set to debut at CES 2017, comes in the form of a knob unit that attaches to your oven’s existing knobs. 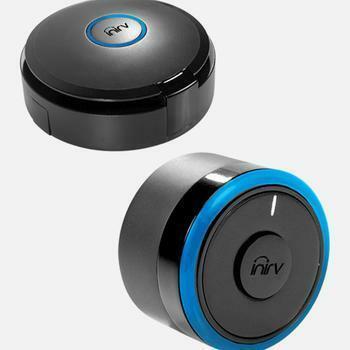 Bluetooth technology and motion sensors arm Inirv with the ability to sense gas, smoke, and prolonged absence. If the device detects any of these risk factors for a home fire, active burners will automatically be shut off. The smart stove knob can also provide a definitive answer to the question, "Did I leave the stove on?" Inirv can be controlled remotely via smartphone, where users can also see real-time updates on their kitchen environment. With just over 350,000 home fires a year, and with cooking equipment being the number one cause of home fires, the device could provide a simple solution to a common problem. “It is surprisingly easy to accidentally leave the stove on after cooking a meal, as I personally learned the hard way. After leaving the house with food on the stove, a fire started in my kitchen putting my home and loved ones at risk,” said Inirv co-founder Akshita Iyer. “With Inirv React, you will finally have peace of mind when it comes to the safety of your family and security of your home, even while you are away," she said in a statement. Inirv's other co-founder, Ranjith Babu, is a resident neurosurgeon who previously co-founded a biotechnology company that developed a device for the minimally invasive treatment of brain tumors. Saving lives is the goal of his latest venture, as well. Inirv React is currently hosting a campaign on Kickstarter with the goal of raising $40,000 in 41 days. To get a standard kit with four knobs and a sensor, you’ll have to pledge at least $199.